Hi everyone. 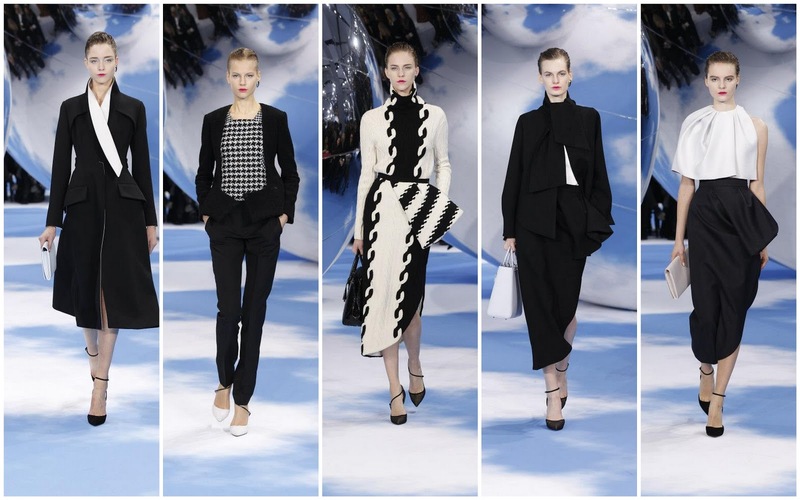 I just came across the new ready to wear collection from Dior and it seems that 2013 is going to be the year of black and white. They are continuing the stripes/black&white trend that is set for Spring and I personally like the colours that are used, but have to say that I was a bit disappointed when I saw the collection because it really is nothing special. Very plain and safe. I expected so much more from them. And what do you think? Let me know by commenting below. I was much more impressed with Dior this season than last, there seems so be a higher level of innovation in this collection. It is quite simple but the tailoring is amazing. Thanks for your comment on my blog, I've already been following you for a while, xoxo. Hello sweety, very nice blog and photos, loved so much! I love Dior!! Would you like to follow each other? If you say yes, just leave a comment after following and I'll definetely follow back! :) Kisses..
Nice selection!! Thanks for dropping by my blog and checking out my post! I'm following you right now, hope you will do same! I love the monochrome trend! Love love love allllllll of it! I like that collection, is so nice. Have a great day. Hi Ana, thanks for your nice comm, I already followed u. Love Dior! It's always my favorite collection from Paris Fashion Week. Thanks for visiting my blog :) Following you via GFC! thanks for your comment <3 I'm following you now! I'm following you on gfc (kinssy). It would be great if you follow me back. Thanks! I agree it is safe but it really is quite beautiful!!! i love this collection! I just found your blog and I love that!